Have you ever caught yourself having a bad day and being in the worst mood, but then randomly feeling joy when talking to someone happy or someone that makes you laugh, putting a smile on your face? According to various studies, smiling is considered contagious. Smiling activates the release of neuropeptides, neurotransmitters dopamine, endorphins and serotonin, which decrease stress levels, relax the body, lower heart rate and blood pressure, and serve as an antidepressant/mood lifter. 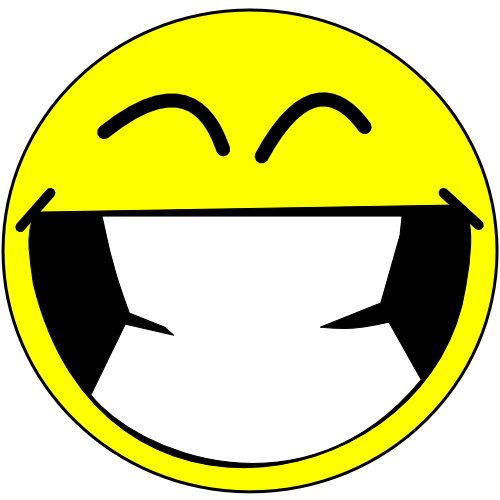 When a person is smiling, they are viewed as “attractive, reliable, relaxed and sincere” (Sarah Stevenson). When a person sees another person smiling, his or her orbitofrontal cortex is activating, which processes sensory rewards. So when a person catches another person smiling, he or she feels rewarded, which is a good feeling. A study that can test this and has been used in testing this is having a person walk by a certain number of people flashing them a smile and see if they smile back, then record this information. Then have a person walk by the same number of people not smiling and see how many people smile to this person. Usually what researchers find is that more people smile when they see someone smiling at them. The cingulate cortex in a person’s brain is responsible for facial expressions, whether smiling when happy or mimicking another person’s smile unconsciously. In a study, people were told to frown at the pictures they were shown of others having different facial expressions. People viewing others would make a similar facial expression to what they were shown then made a conscious effort to frown afterwards. When people smile they release “feel good chemicals” (Sarah Stevenson), trigger the feeling of reward, and make themselves seem more attractive. In another study, researchers “found that distinct happy and unhappy clusters significantly bigger than would be expected by chance” (Fox News). Smiling makes people look and feel better. It is better for ones health to smile more because of the good chemicals it releases in ones brain. Next time you feel sad, surround yourself with people you know will put a smile on your face because uconsciously, smiles and emotions are contagious. This entry was posted in Uncategorized on October 21, 2014 by ram5928. In the first study you mentioned, where one person would smile and see if another person smiled back, I felt that there were many third confounding variables. For instance, an attractive girl that is smiling at an available male is gonna elicit more of a reaction then someone who may make them uncomfortable with there smile. This is a great topic. I remember learning in my psychology class in high school that smiling was indeed contagious. We ran an experiment where you smiled and 30 random people and recorded whether or not the person smiled back. This experiment proved that indeed more than half of the people being smiled reciprocated the sentiment. My only suggestion here is to give us a little more information or maybe some more opinionated statements. It was a lot of quotes from your sources. Otherwise it was a great post!